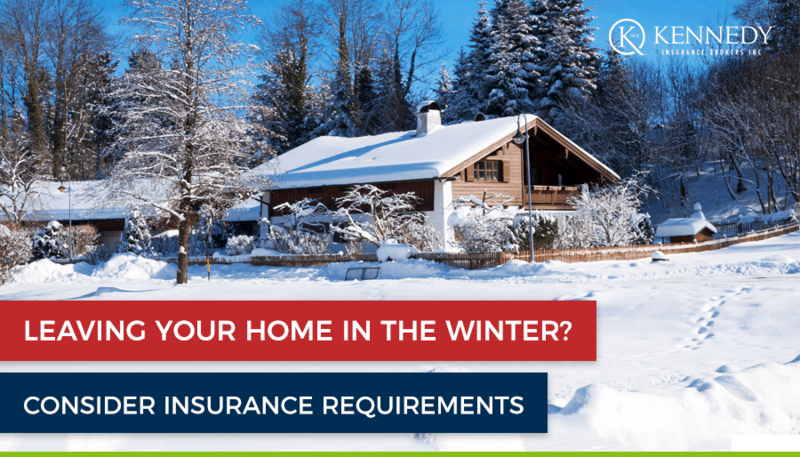 Nearly every home insurance policy contains some responsibilities for the homeowner if they are leaving their home for a period of time during the winter season. This time period can vary depending on your insurance company’s wordings from a few days to a couple of weeks. This is to ensure that any risks associated with freezing and potential water damage are managed properly. If you don’t follow your insurer’s instructions for protecting against freezing pipes while you are gone, and something happens as a result of this sort of damage during the period you are away, most policies will not cover the damage. Freezing damage can be expensive – it isn’t just your pipes that are broken when they burst, it’s what the water damages when it runs continuously until it is found by someone. Floors, walls, furniture, appliances, and more can easily be destroyed or damaged. If you are leaving for March Break for a week, the insurance company’s concern is that there will be a breakdown in your heating system which could cause the water in your pipes to freeze. While it is best to check with your broker to see exactly what steps you should take, it’s usually enough to either turn off your water supply and drain water-containing appliances such as toilet bowls, or have a responsible person check on the property while you are gone if you don’t want to go through the trouble of turning off your water supply. If you are going to have someone check on the property, it should be someone that doesn’t mind checking it daily, as some insurance company requirements do go this far. Some insurance companies will also accept that the situation is in hand if you have a low temperature alarm system in the home that is connected to a 24/7 alarm monitoring company who can dispatch the appropriate people if the temperature becomes low enough that your pipes may freeze. The best solution? At a minimum turn off your water supply; that way if a pipe were to freeze, leak or burst, the water won’t continue to run! As well, you should ensure the home is either checked as required, your have a low temperature alarm or you’ve shut off the water and drained the water system. It’s important to check your policy or to contact your broker before you leave for your winter vacation to check what the specific items are that your insurer needs you to do – contacting your broker (hopefully, that’s us!) is the best option as they may be able to give you additional tips for your property and ensure you have adequate travel insurance if you are leaving the country.